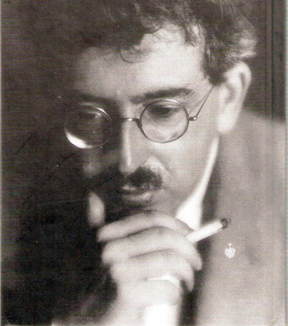 In May 2006, Harvard University Press published "On Hashish" by someone the New York Times calls, "the revered philosopher, essayist and critic Walter Benjamin." Benjamin experimented with hashish, opium and mescaline between 1927 and 1934, after friends recruited him as a test subject. After taking hashish on December 18, 1927, Benjamin wrote these notes (in translation): "Unlimited goodwill. Suspension of the compulsive anxiety complex…All of those present become comically iridescent. At the same time one is pervaded by their aura…. Feeling of little wings growing in one's smile… An outward projection of the inner feeling of ticklishness." He continued, "It is striking that the inhibiting factors which lie in superstition, etc. and which are not easy to designate, are freely expressed rather impulsively without strong resistance…One traverses the same paths of thought as before. Only they seem strewn with roses." In Theses on the Philosophy of History (1940), Benjamin wrote, "The tradition of the oppressed teaches us that the 'state of emergency' in which we live is not the exception but the rule. We must attain to a conception of history that is in keeping with this insight. Then we shall clearly realize that it is our task to bring about a real state of emergency, and this will improve our position in the struggle against Fascism." Benjamin died in 1940 while fleeing the Nazis, either by suicide with cyanide or morphine or otherwise, as the film "Who Killed Walter Benjamin?" speculates.